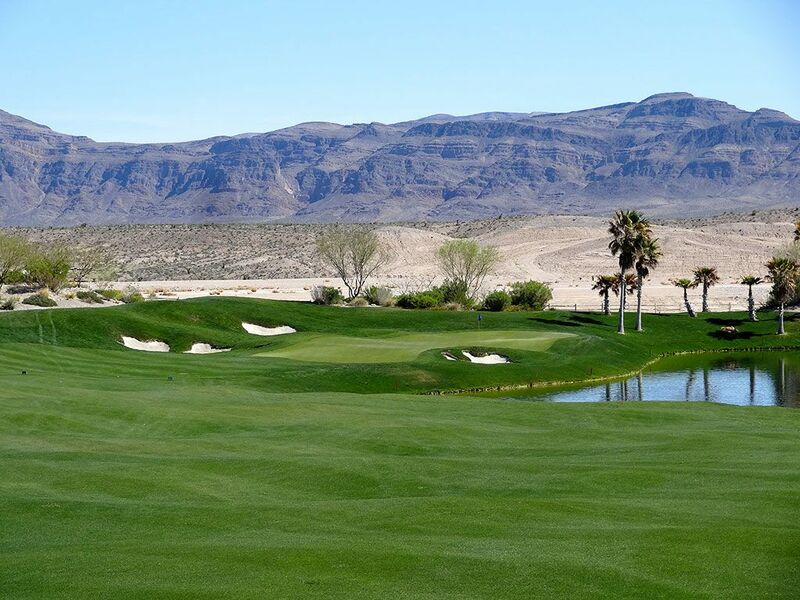 Course Website: Official Website - Visit Coyote Springs Golf Club's official website by clicking on the link provided. 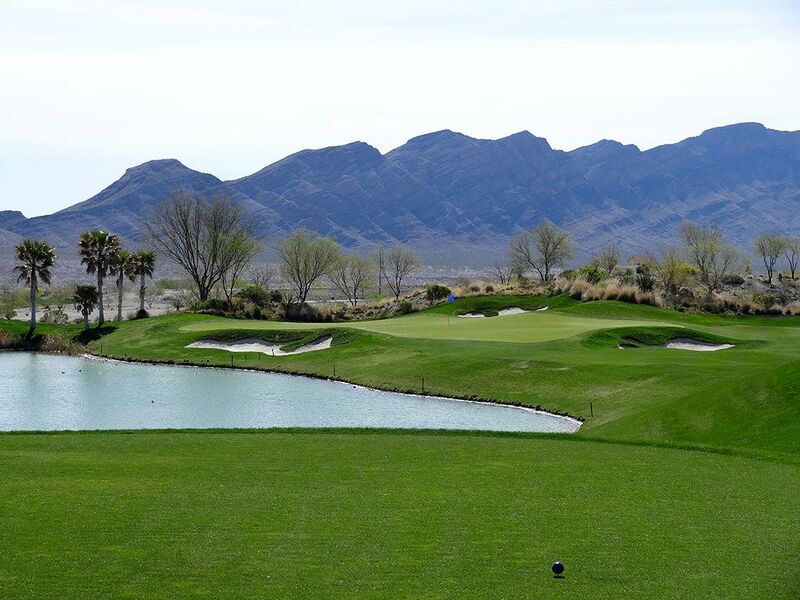 Accolades: Ranked 11th in Nevada on Golf Course Gurus' Best in State list. 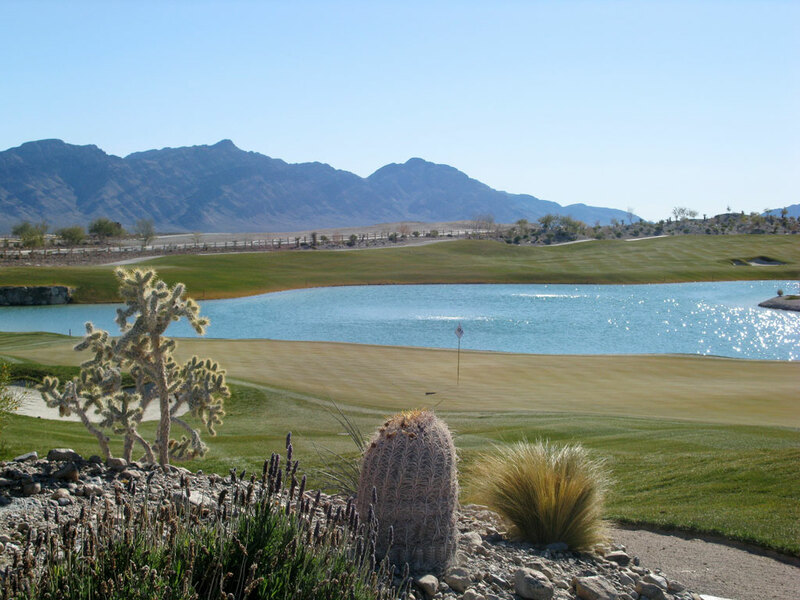 What to Expect: Coyote Springs opened up to strong reviews in the small community located 50 miles from Las Vegas. One has to conclude that Tom Doak rubbed off on Jack Nicklaus during their co-design efforts at Sebonack on Long Island since Coyote Springs features more undulated fairways and eye catching bunkers than is typical of a Nicklaus design. 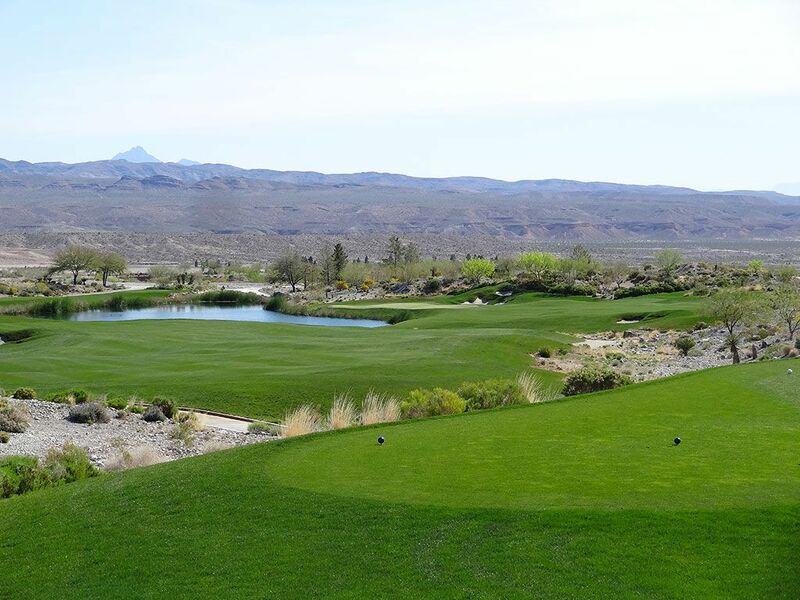 Visually the course is more stunning than the similar terrained courses at Paiute and the greens have some of the strongest contours that can be found in the state. This was the first of several courses planned for the community but the real estate and economic downturn that occured shorly after opening quickly put in jeopardy the grand plans for the area. 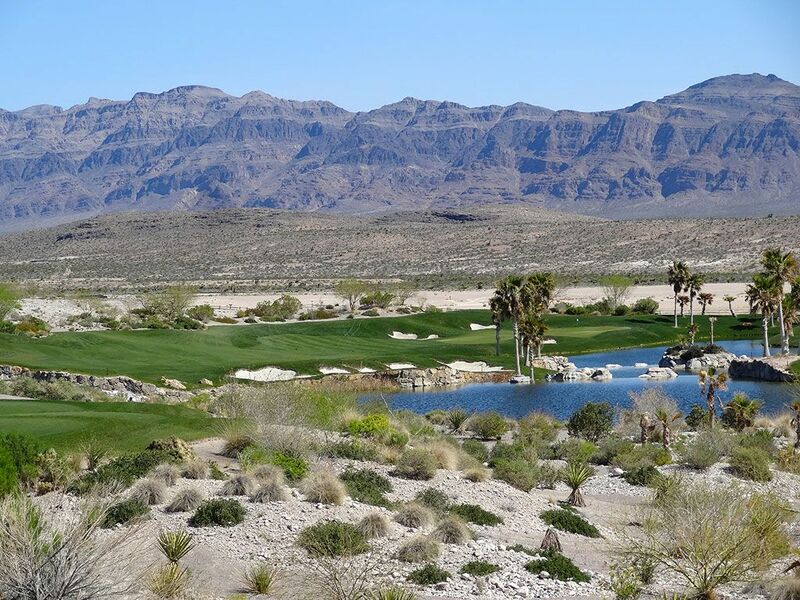 Several mountain views are offered as well as a handful of water hazards to contend with throughout the desert design, but your caddy should guide you through the course with plenty of good advice. 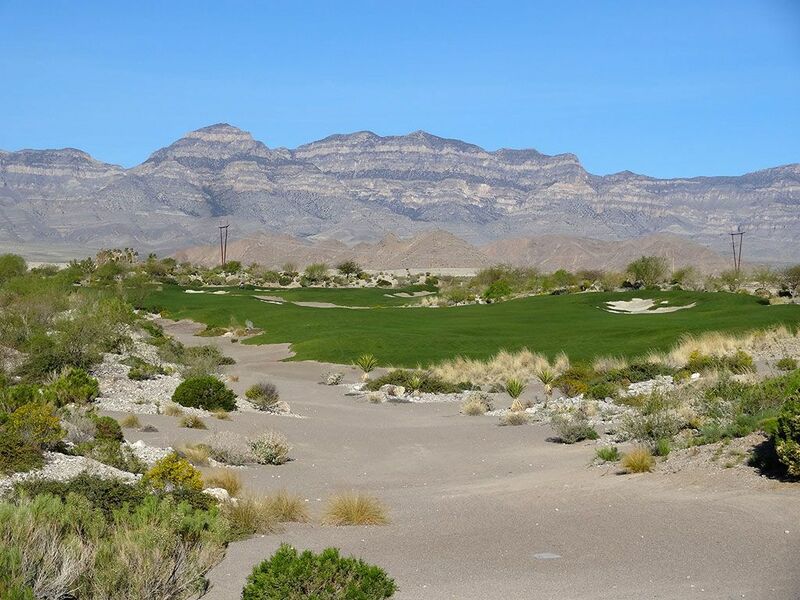 In the end, Coyote Springs is a solid Nicklaus design that departs a bit from traditional Nicklaus features while still having plenty of teeth for top flight players to contend with. Signature Hole: 17th Hole – 170 Yard Par 3 – A common design at Nicklaus courses has become a cape par three that wraps around to the right where the closer tees boxes are planted. From the back tee it is all carry on a direct line with the green while a trio of bunkers are found around the green. The sloping in the green makes this hole more unique than most with the back left pin position being particularly dangerous to attack. Best Par 3: 8th Hole – 233 Yards – The reverse concept of the 17th hole is found on the 8th, but the 8th is a better version to play. 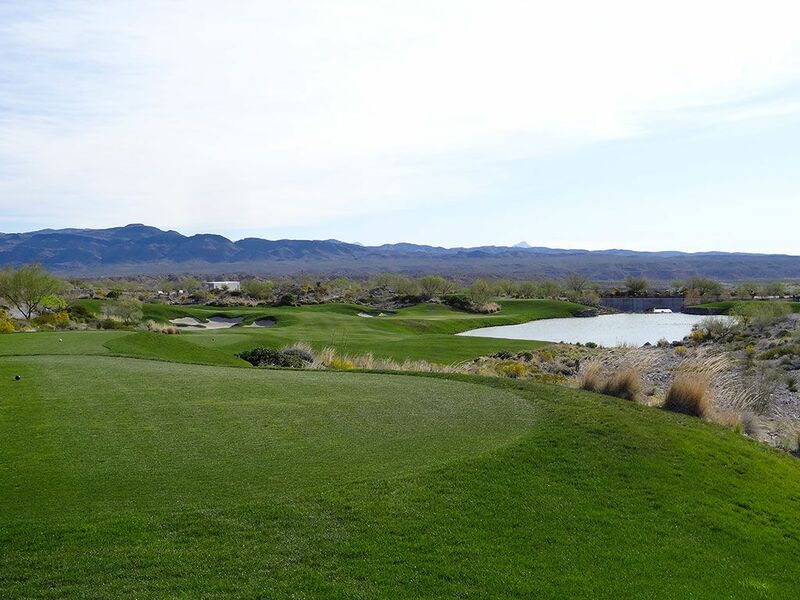 Lengthier at 233 yards from the tips, this hole requires a long club off the tee but offers a generous slope left of the green that players can hit to and feed their ball over to the green. With less green in the back right third, there is no reason to do anything other than attack this green from the left. Best Par 4: 18th Hole – 463 Yards – Water comes into play twice on the closing hole with the first time coming with the tee shot. 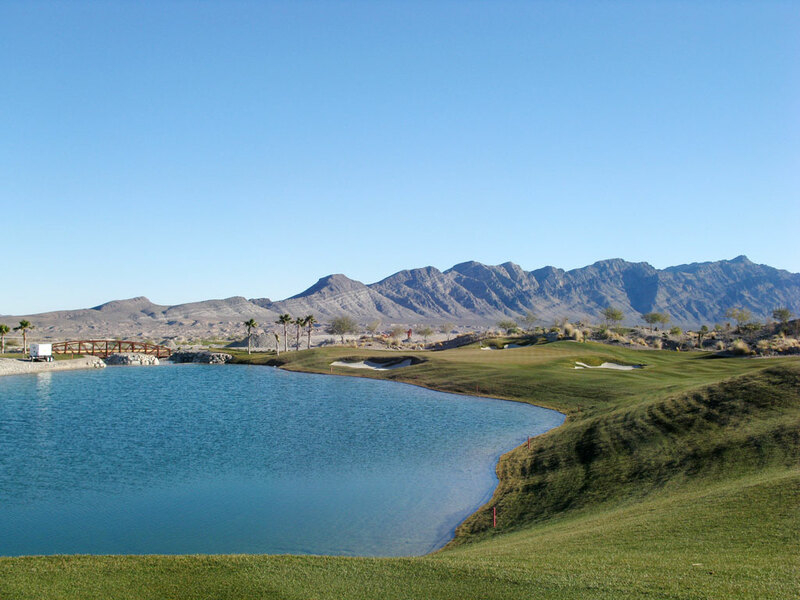 The back tee plays 90 yards longer than one tee up and requires 240 yards of carry to clear the water and find some grass to play from on the second shot. The approach shot plays to a long, skinny green with three bunkers around the putting surface and water pinching in from the right. While the prevailing wind can often be at your back, days when you don't have help from Mother Nature this hole can be the toughest green in regulation on the course. 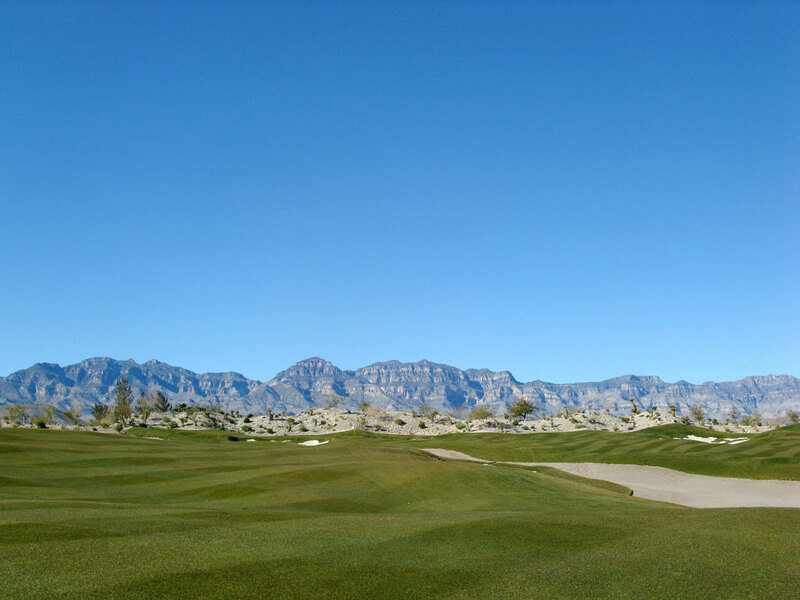 Best Par 5: 5th Hole – 585 Yards – Classic desert golf is found on the 5th where there is as much waste area as there is fairway to hit. A tee shot left of the fairway bunker is a great way to start this hole before deciding whether to lay up to the second fairway or take a rip at the green that sits on its own separate piece of turf. 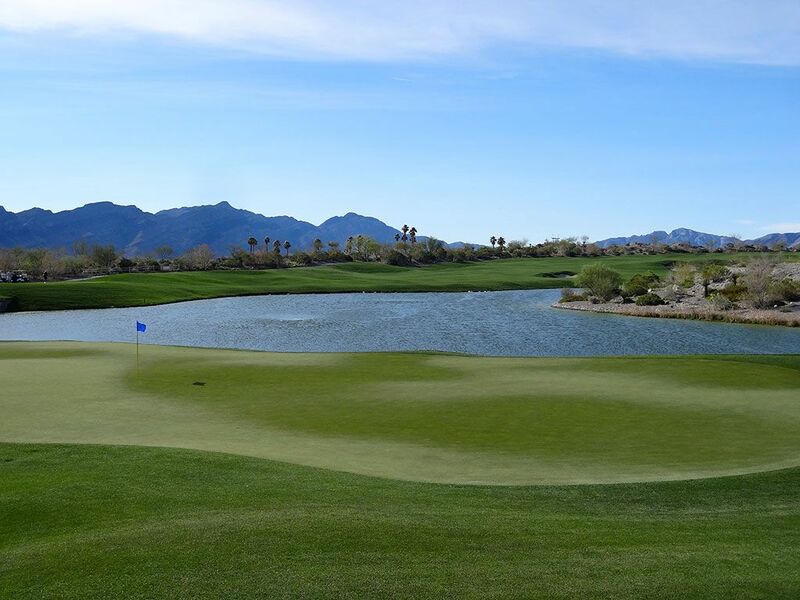 Players going for the green would be advised to hit a draw since there is a portion of fairway afforded to miss to on the right but nothing but desert left. Players that lay up to the second fairway will have difficult angle over a waste area, over a bunker, and to the shallowest angle of the green. Jack wants you to take a risk and go for this green in two, so if you have the length give it a try. 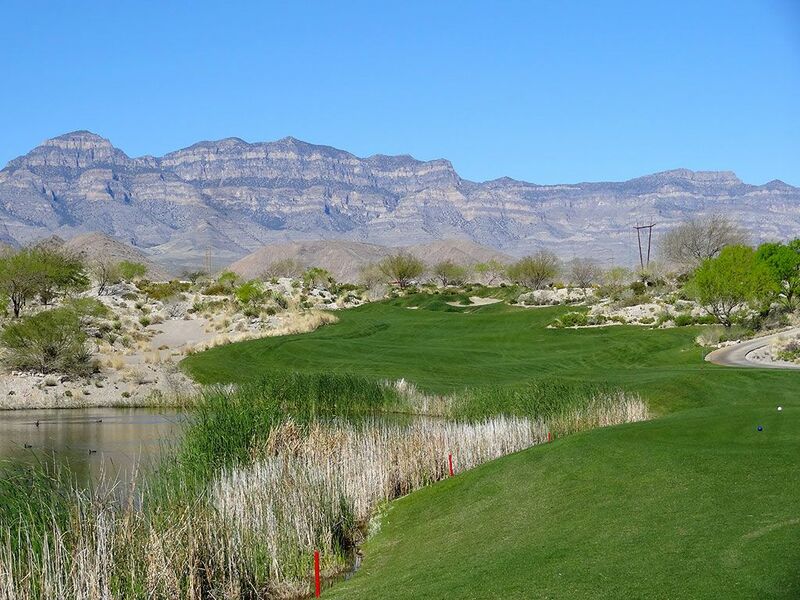 Birdie Time: 15th Hole – 375 Yard Par 4 – The shortest par four at Coyote Springs comes late in the round and is a great chance to score. Water comes into play from the left so long tee shots should favor the right side where the best angle is for attacking the green as well. With the hole play steadily downhill from tee to green, this is a good hole to take advantage of. Bogey Beware: 14th Hole – 450 Yard Par 4 – This is a tough hole to avoid being scarred on. The tee shot plays uphill to a narrowing fairway before doglegging left and playing to a raised green with sloping edges and bunkers protecting the putting surface. 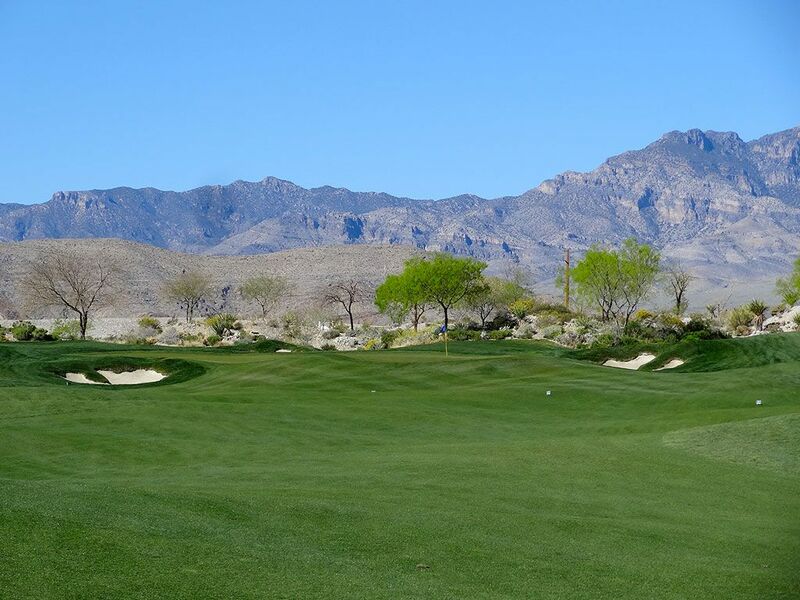 Trying to cheat this hole by cutting over the desert or attacking tucked pins is a sure fire way to go from hoping to make par to guaranteeing a double bogey.